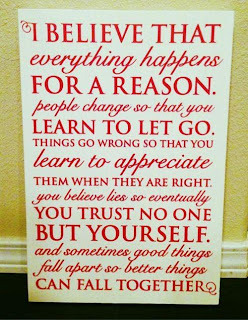 And yes, my conclusion says, yes, everything does happen for a reason. And there is a lesson to be learnt in every quest. The key is, to be able to recognize what the lesson is. I know that often times I do not recognize why something happened at first or why some person came into my life at the time they did. And why I could not continue to be with them. Why I could not make it to the future with them alongside. Sometimes it may be days, weeks, even months later that I can look at what happened and say “Ah ha! That is why that happened the way it did. Because if that hadn’t happened (what I perceived as negative at the time) then this wonderful thing could not have happened to me now. Yaa Buddy ..I do agree . 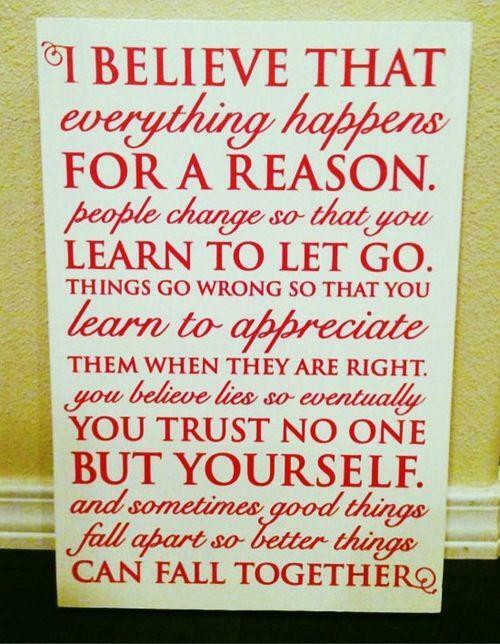 As I said "Everything happens for a reason". The sooner you realize, the better. Prepare well..Hope to see you in form soon. Yes, truly iterated time and again. There IS a reason for everything!